Bringing you the best of Birmingham's arts and culture. 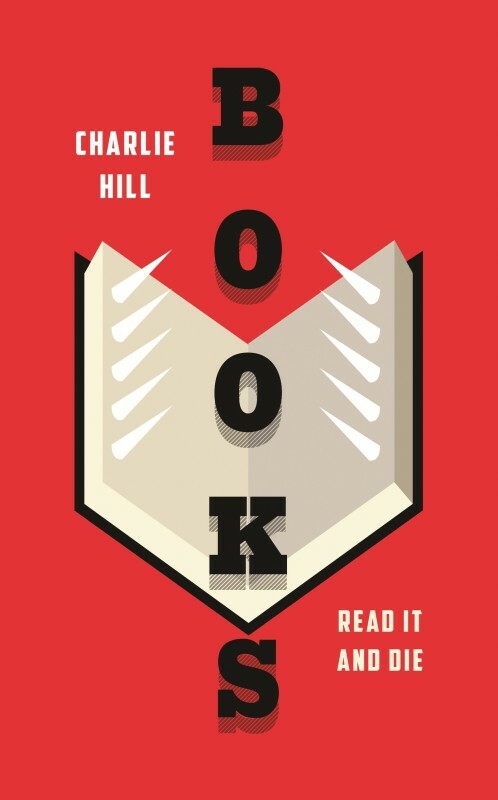 Here to talk about his new satirical novel, Books: Read it and Die, Hill looks distinctly uncomfortable in the spotlight, and is quick to self-deprecate. The interview format of the talk is a clever one, for the confidence and enthusiasm of Kalinsky facilitates Hill’s momentum, and encourages the author to express some thoughtful and subtle perceptions on the culture of literature. The novel’s origin can be traced to Hill’s days working in Waterstones, spending hours gazing at the ‘3 for 2’ section. In the late 90s the idea came to him to write a short story, aptly titled ‘3 for 2’, which was published in ‘Ambit’, and would later expand to become Books: Read it and Die. On the topic of his own success, the writer has a dark sense of humour: “A part of me rather hoped my book would be picked up by a big publisher and end up languishing in the ‘3 for 2’ aisle”. Upon this quip Kalinsky is quick to point out that Hill’s dark comic timing lends itself brilliantly to the bleak satire of the book. The audience’s interest has been piqued, and Nicola’s praise sells the book in a way one suspects Hill, himself, would be uncomfortable doing. From the beginning it is clear that this man is an author, not a salesman. He discusses the novel objectively, without the need to bolster its content. Books is written as a series of first person accounts: from the main character, who stridently preaches about the problems of mediocrity; to the villain, Gary Sales, exemplar of someone responsible for such problems, but who is so human in nature that Kalinsky can’t help but sympathise with. Whether Books: Read it and Die will stand the test of time is a different issue. Though if the author’s obvious passion for writing flows through its pages as eloquently as Kalinsky says, then it is guaranteed to be thought-provoking and as far removed from mediocrity as one could imagine- not to mention, beneficial to the reader’s health! With her nervous gesticulating and self-deprecating manner, Jo Usmar instantly charms her audience, negating any preconceptions of the officious, odious journalist. The talk has an informal but intimate feel from the outset, as Usmar guides her listeners through a career story with such humble origins as to put all aspiring writers in her midst at ease. Describing her younger self’s reluctance to get involved in student media societies until her final year, Usmar assuages the anxieties of those of us clamouring to fatten our portfolios, whilst also stressing the importance of utilizing such resources. Whilst such a platform could have afforded Usmar the chance to self-indulgently pontificate for a 45-minute stretch, she instead chose to impart insights and advice laden with the benefits of experience, as well as some choice anecdotes; she had the hotly contested job of ‘preparing June Sarpong’s blueberry porridge’, not to mention the coveted ‘first interview with One Direction!’ Her delivery is rushed, with neither comic-timing nor polish, but the result is compelling, for Usmar is accessible, and thus fascinating. Starting her career at Sugar magazine – which unfortunately met its demise shortly after – Usmar worked her way up through the journalistic ranks: a healthy dose of reality for those who thought they could simply waltz into an editorial position at The Times. Currently working as a freelance writer, Jo eschewed any fears her listeners associated with such a precarious position, by demonstrating what a vast range of opportunities such a position afforded her, having written for Stylist, Heat and The Daily Mirror. The title ‘Being a Cosmo Journalist’ really doesn’t do justice to the talk, for Usmar has accomplished so much more. She has also published self-help books, and speaks of the daunting task of finding a willing publicist in a frank but optimistic manner. At times the writer is ill at ease, and this may reflect an anxiety to fill the allocated time, but these occasional uncomfortable lulls are punctuated by frank and honest observations, and the contrast between the seeming self-doubt that lingers with youth and the self-assuredness that comes from success appeals hugely to an audience of nervous undergrads. At one point she pauses, and asks “Is this helpful?”; here is a woman with an interest in her audience and a passion for her topic. The talk spans an invaluable range of topics, from work experience, to the importance of tailoring your writing style, to the importance of “just talking”. Jo Usmar is a University of Birmingham girl with no laboured airs or graces, and ‘Being a Cosmo Journalist and Other Stories’ could not have done more to convince her listeners of the importance of such qualities. Interviewing Jo Usmar was especially inspiring as not only is she a UoB graduate but she has my dream career as a columnist, freelance journalist, and published author. She joined the ‘Book to the Future’ festival to offer advice on how to make it as a journalist and met me beforehand to give me the inside scoop on her own journey. 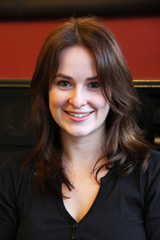 Jo revealed that she got her first big break at FHM by networking her way up from being a studio runner at Channel 4. Finding that opportunities often open up “once you’re in the building”, she asked for work experience with Zoo, three floors up from FHM, and became their Editorial Assistant for a year and a half. She emphasised that FHM and Zoo were less controversial at the time and were certainly more successful than women’s magazines, reiterating her belief that any experience is better than no experience. Jo now has the luxury of being a freelance writer, but it’s not an easy switch; to be successful and earn an employer’s trust you have to have a substantial book of work. Neither is it for nervous people as work is never guaranteed. Although she enjoyed the camaraderie in the office, she said she wouldn’t go back to being a staffer and it was clear that she enjoys the flexibility and freedom that comes with freelance journalism. 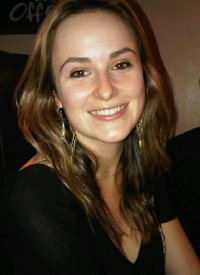 In her spare time, Jo is a voracious reader and enjoys everything from Roald Dahl’s children’s classic Matilda to Bram Stoker’s gothic horror Dracula. She expressed her love of thrillers such as those by John Grisham, Lee Child and Stephen King especially – sharing her enthusiasm for his post-apocalyptic horror novel The Stand. Be enthusiastic and get as much work experience as you can. “Don’t take things personally!” Ask why your work was edited and learn from it. Finally, she warns aspiring journalists to be prepared for long hours and menial jobs. “The hours are ridiculous and the pays non-existent. If you can’t hack it you won’t last. You’ve got to really want to do it.” Despite this, she declared that the “pros massively outweigh the cons for me”, before concluding with a smile “it’s the best job in the world”. The University of Birmingham’s own Richard House gave a lecture as part of UoB ‘Book to the Future’ literature and spoken word festival last week. The event was a look into the creative process that culminated in this ‘new age’ sort of novel that was long-listed for the Man Booker Prize. The Kills is just over a thousand pages in length, broken up into four shorter sub-stories: ‘Sutler’, ‘The Massive’, ‘The Kill’, ‘The Hit’. The interesting and new aspect of this novel is the multimedia aspect the book has, with added extras in the form of short film clips and animations. And although House made quite clear the book can be read alone the multimedia extras help to set and change the mood of the extracts. The event not only gave us an insight into the novel but the man behind it. House spoke about how he was a visual artist before he became a writer, and highlighted the difference between the two, saying his vision and creativity has always had a practical element that comes from working in the visual arts. All the short films included in The Kills House shot and edited himself on his ipad whilst travelling. He spoke about how the interest of a new medium (the ipad) allowed him to explore new aspects of creating. “When I wasn’t writing I was filming, when I wasn’t filming I was writing”, and the process of an extra layer of video within the book allowed House to think more like the characters he was creating. When he was filming he said he would be thinking “what would Mizuki be thinking, what would she be looking at?” As a creative writer myself I found this fascinating; it’s almost as if via his ipad House was able to explore the world via the sight of his created characters. The videos as well as adding to the novel also acted as a creative exercise furthering the character and plot in his own mind. The incredible thing about The Kills is all the extra information that goes around it and all the extra work and effort put in to create a world with people and voices. For example ‘The Kill’, the third sub-book within the novel, is referenced by Sutler in the first as a ‘terrible book’ and then again later as a film based upon the original book. This added extra really gives a personal connection to the audience as they feel immersed into House’s world. This is furthered by the concept of flipping a coin to determine how you read ‘The Kill’. House advises readers to flip a coin and depending on its outcome read the book in chronological order or character by character, making the experience of reading rather more personal. ‘The Kill’ started out as a murder mystery set in Naples, but not wanting to write “just another crime novel in Naples,” House decided to take the advice given to all writers: write what you know. 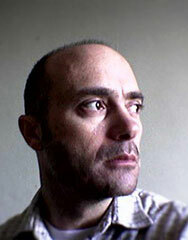 So he wrote a crime novel from the perspective of the outsiders, the people on the periphery. This changed the piece from just another crime in the stereotypically violent and corrupt Naples, to an insight into the people caught up in something they don’t really understand. The event for me was incredibly interesting and enjoyable in spite of a few technical errors. It gave me an insight into the world of visual arts, and how in this day and age a novel can be so much more than simply words on a page. Being a girl from Yorkshire myself, a lecture on a ‘lost’ land named Doggerland certainly sparked interest. Part of the University’s first literature festival ‘Book to the Future’, the lecture given by Professor Vince Gaffney celebrated innovative technology, inspiring findings and historical development of research. It was inspiring and informative, and gave a real understanding of the future of landscape archaeology in this area. He began by reminding us of the other lost worlds history has presented. For example, James Churchward and the lost continent of Mu in the Pacific Ocean. We all know about the mysteries of Atlantis (and the BBC show is utilising this lost land at the moment). However it soon became clear Professor Gaffney was serious about a land lost beneath the rising sea levels during the last dramatic climate change, the ice age. The land was inhabited in about 10000BC-5000BC and has become known as the Mesolithic period of hunter gatherers. The history of research into what has been named Doggerland was the main subject of the Professor’s lecture, and demonstrated the development of technology combined with a bit of luck! The first ‘giant’ he stands on the shoulders of is Clement Reid who published ‘Submerged Forests’ in 1913. He described the remains of trees and stumps that have been submerged by marine transgression due to rising sea levels, meaning the stumps have become petrified. The next was Dr Miles Burkitt, who was pushed by his supervisor to study the Mesolithic period. He published two books, one in 1936 and one in 1939, the first being a ‘let down’ to his supervisor, as was nothing less than a combination of the then present research. His second book however was influenced by the finding of the Colinda Harpoon which a trawler dug up from the peat off the Dogger Banks, in the area of Leman and Ower. This exciting piece of luck demonstrates how evidence on the era was being discovered and put to scientific use. Professor Gaffney went on to explain how the oil and gas industry helped with his work by surveying the vast area of the South North Sea. Using the help of Dr Ken Thomson, Petroleum Geo-Services (the group carrying out the surveys under the water for oil and gas exploration) gave them 6000 squared km (apparently this is an incredibly small area in relation to normal archaeological digs) to carry out their 3D research on. This was the turning point for the team, they could begin to see rivers in the layers of sediment under the ocean and get a true picture of vegetative life 10,000 years ago. The main issue is of course that the data will not allow them to see settlements, but due to the developing technology, the team can explore the underwater land using the most modern 3D tools. The main thing I took from the talk is how by collaborating with many groups across the world, the team has been able to expand their work to areas off of Wales and Qatar for example. Off of South East Asia there is an area named Sundaland, not much smaller than India, lost to the sea. In 2013 they won the European Archeological Heritage Award, which truly demonstrates the value of their work to the field. I will certainly be keeping up with developments in this area. It is amazing how finding one harpoon can spark off research that will keep Professor Gaffney enthralled for years to come. UoB Book to the Future and Writers’ Bloc present: UniSlam! 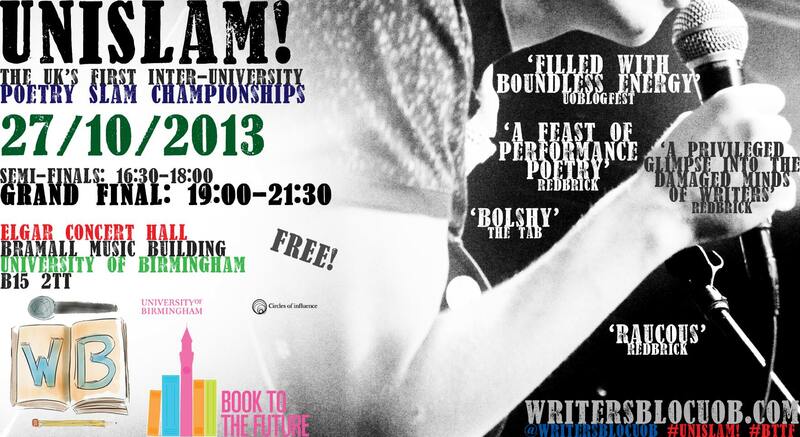 As part of Book To The Future, the University of Birmingham’s first ever literature festival, Writers’ Bloc are proud to present UniSlam!, the UK’s first ever national inter-university poetry slam championships. Watch the best student poets, including a team from UoB, battle it out over 3 rounds, culminating with a grand final in the 420-seat Elgar Concert Hall, for the coveted title of UniSlam! Champions. The teams will be judged by professional poets Luke Kennard, Helen Monks, Martin Glynn and Matt Windle, and hosted by Bohdan Piasecki. Come and join us for this FREE poetry extravaganza. All are welcome – bring your friends, family and pets for what is certain to be a day/night to remember! TIME: Heats 2–3.30 pm. Semi-Final 4.30pm-6pm.